Enjoying The Course: Happy Friday!! In other news, I ran fast yesterday morning, and it felt amazing! One last thing before I leave you to enjoy the weekend. My birthday is fast approaching. 7 more weeks. Or something like that. ;) Perhaps you remember my virtual race to celebrate my 36th birthday? The Factors of 36 virtual race?? It was so much fun! That I wanted to do another little something to celebrate this year. Make it a tradition, you know. BUT doing a Factors of 37 wouldn't be nearly as much fun since your only options would be run 1 mile or run 37. Ugh. So, let's go streaking instead!! 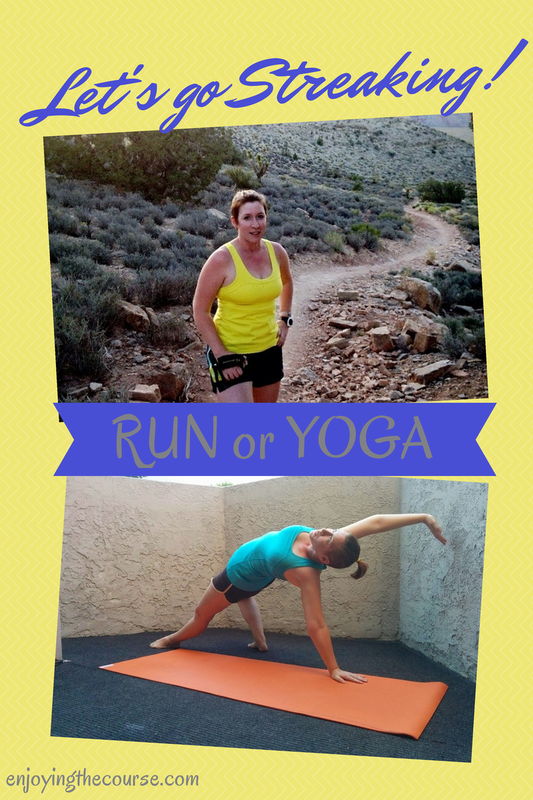 Your choices are 37 days of running (at least one mile) or 37 days of yoga. Or some combination of the two. Either way the streaks will begin on July 5th and continue until my birthday on Aug 10th. Joining the fun is super easy! Just run or do yoga every day from 7/5 to 8/10 and tweet or instagram a photo using #ETCRunStreak or #ETCYogaStreak or #ETCStreaks. Now, go out there and enjoy the beautiful weekend. Unless you're still at work. Then, you know, it's *almost* the weekend, so SMILE!! Will you celebrate my birthday with me? Yay for Aug birthdays!! Hope you join in for the yoga. your birthday challenge sounds like fun! Hope you'll join the fun! Love this idea! I think I could do the 37 day running streak. Sounds like fun! What a neat idea to celebrate your birthday!